Real Film Cars, a Polish based company that rents out to shopping centers cars and robots featured in popular Hollywood movies, has recently expanded its collection with Film Motorbikes. Dexy Co kids, the leading Serbian retailer of children’s products will open its new store within Rajićeva Shopping Center, located on Knez Mihailova Street in Belgrade, on the 1st of November. IKEA, Swedish furniture and home decor retailer, announced that it has postponed the opening of its second department store in the Romanian capital city Bucharest for 2019. 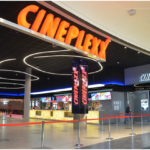 Cinemax, the biggest multiplex cinema chain in Slovakia, announced that it will expand its international operations by entering the Romanian market. The company’s first two cinemas in Romania will open at the beginning of 2019 in Bucharest and Brasov. Women’s Secret, a Spanish lingerie brand owned by Tendam , opened its new store in Lumini Shopping Center at no. 15 Grada Lipika Street in Varaždin, Croatia, on the 26th of October. NEPI Rockcastle, the leading commercial property investor in Central and Eastern Europe, announced that its 18th shopping center project on the Romanian market,Shopping City Satu Mare, will open on the 6th of December. 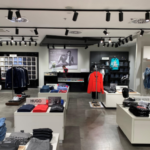 Real estate development and management RC Europe RSB, which currently operates one NEST retail park in Kraljevo, announced plans to invest in new projects in the Serbian cities Užice, Obrenovac and Ruma. Gigatron, the leading Serbian electronics retailer, opened a new store within Stadion Shopping Center at no. 32 Zaplanjska Street in Belgrade, Serbia. Arena Mall, a shopping center in the Romanian city Bacau, is planning to expand its leasable area by 60 percent. Expansion works are set to begin in September 2019, with completion scheduled for the 30th of November, 2020.